There is a fine line between having a lot of items that you enjoy versus having a lot of items just because they go together. While many of us might enjoy our collections and adding to them, once you tip the scale to too many objects, the sheer number of them can start to overwhelm the brain and bring you less joy. When it comes to clutter, memorabilia items are a common contributor. We have some tips for you to ensure that your memorabilia is enjoyed consistently in your home. First, keep only what you actually enjoy looking at. This seems obvious, but we collectors like to keep everything from a set, even if we value certain items in that set more than the others. Just because you have a collection of sports memorabilia doesn’t mean you need to keep every single item! Keep the ones that mean something to you and sell the rest. Second, display your memorabilia in a way that makes you happy! Why add items to a collection if you’re not able to look at them and enjoy them? Find a place in your home for your memorabilia items and group them together in an organized fashion for maximum appeal. Finally, don’t be afraid to downsize. It can be hard to part with some items. Items that were gifts or inherited are common culprits of clutter. However, if you don’t enjoy the items, it’s better to donate or sell them to someone who will. 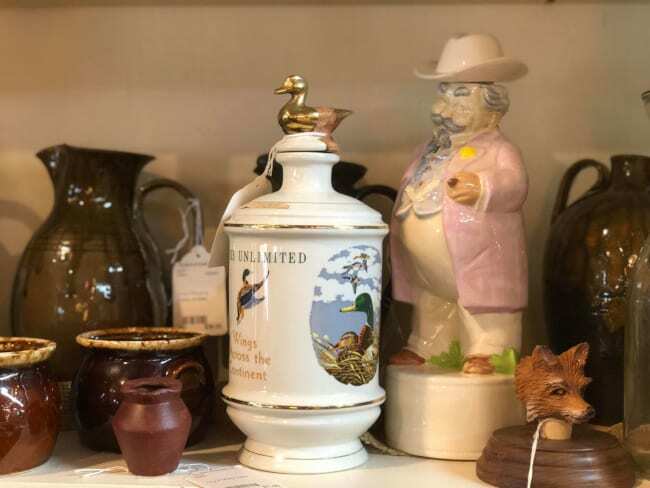 Don’t wait to stop by The Barn on Country Club to shop for collectibles and vintage furniture for your home or business in Winston-Salem, North Carolina. You’ll love what you find! Winston-Salem NC, Greensboro NC, High Point NC, Charlotte NC, Kernersville NC, Clemmons NC, Yadkinville NC, Mocksville NC, and Lexington NC.